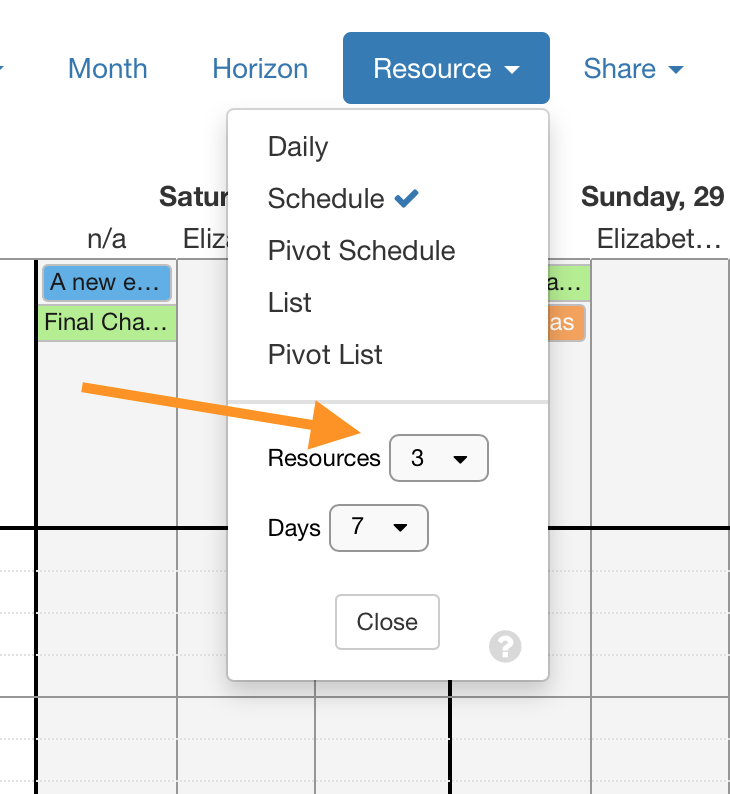 How can I add more columns to the Resource scheduling view? In Admin Settings / Views you'll see an option for "Resource Columns to Show". Setting that will change everyone's default number of columns. Finally, you can also change the number of days that show up in this view--selecting up to 30 days at a time.